The Sword of Baahubali, India’s first ever real-time virtual reality film from the makers of Baahubali, is all set to premiere at the prestigious Tribeca Film Festival, USA, in April. This VR film has been created by Radeon and it marks Rajamouli’s debut in the world of virtual reality. 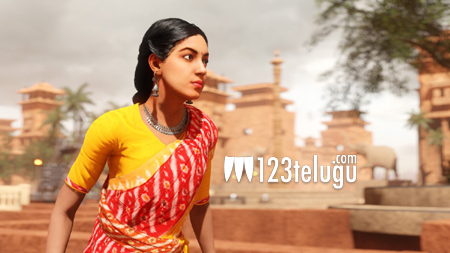 The Sword of Baahubali stars Telugu girl Ritu Varma, who is playing Samaya, a real-time character in the video. Needless to say that Ritu is quite thrilled on being part of this prestigious venture, with Rajamouli at the helm. Ritu was flown to America last year and her face was scanned by a VR camera that captured close to 20-30 facial expressions to work on the final photo-realistic imagery.